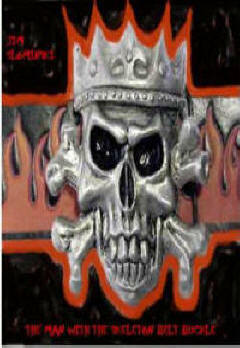 Books are available online by contacting the author via email. 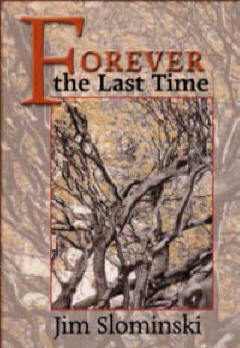 Forever the Last Time, the second book of poetry by Jim Slominski, chronicles the lives affected by the illness of the poet's oldest child, Jake. With a depth of feeling that is awe-inspiring, and using an unabashedly rural setting, Slominski writes of family and work, centering his poems in and around the home. The stress that the shadow of the child's impending death puts on the family is devastating, an effect which the author imparts to the reader in totally believable, personal lyrics. Yet, the every-day life of the family goes forward, and the poet celebrates both the grief and joy in each day, in spite of the knowledge that the last time is forever hovering. 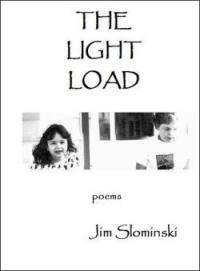 Jim Slominski's poems remind us all of how the poet tells himself secrets about the inner workings of the human heart. If we read these poems closely, we might be privileged to overhear something of the deeper truths. In their simplicity and clarity, these poems provide a glimpse of the soul revealed. In this outstanding first book, Jim Slominski combines a clarity of perception with a meditative understanding of the natural world and human relationships. His original and intimate voice makes every poem resonate, for example in drawing the restlessness of Nature: "Featherhead seeds / absorb the clouds / dream about a forgotten river / Canada thistle and bullrushes race aimlessly along a ditch." Like the photographer "who needs to capture what we all change from," Slominski watches his son fly a kite: "how light his string. / He flies away from a world so thick and heavy / that even the air slows him down." Yet death is here as well and we grapple with the wisdom of children and the fears of adulthood: "How will I forever embrace all the things you will ever touch?" 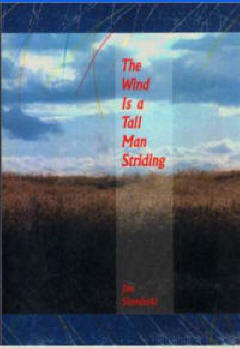 In the end it is the poetry which elevates us, as when an exhausted kite is rolled up, "Jake carries it home, and the whole sky swims under his arm." I'll never know where these poems came from. In contrast to my usual lyrical style, these are raw street-level poems, pulled out of the alleys, basements, and attics. These are filme noire poems filled with characters whose lives and dreams are mostly unfulfilled and shotgunned with violence. A collaborative work with longtime friend and artist, Stephen Kawai. This collection of haiku draw their inspiration from Stephen's monumental and beautiful mobiles -- each a universe of their own, yet as self-contained and meditative as a Japanese garden. Wonderfully photographed by Dita Kubin.